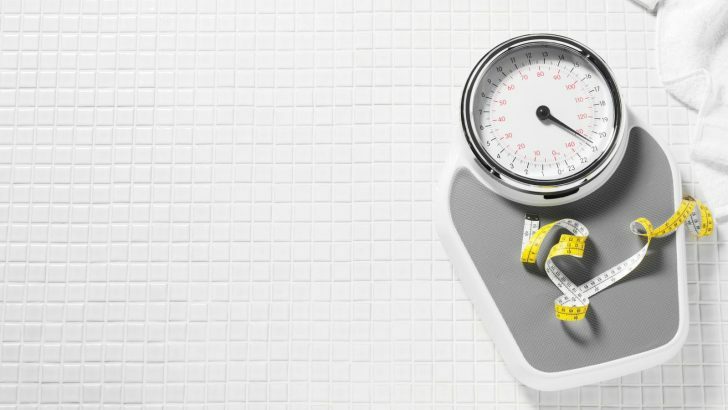 A lot of people believe that exercising and watching what you eat goes hand in hand when it comes to losing weight, but apparently, it’s not quite right. Dr Michael Mosley, the presenter of BBC series Trust Me, I’m a Doctor declared that eating less is a better method to lose weight than to exercise more. But the problem with eating less is that people tend to starve themselves. There are a lot of foods that help you lose weight by reducing your food intake without having to starve yourselves. One of the many examples of food that makes you eat less is the one which contains a high level of protein. For a long time now, a lot of scientists believe that eating high-protein meals can fill people up faster, thus reducing the number of food people tend to eat. The protein consumed will send a signal to the brain and transmitted back to the stomach which will trigger the stomach to release glucose, suppressing your desire to eat and prevent binge eating. Other than making you feel easily filled, high protein food could also make you feel full for longer so that you won’t be hungry too soon after eating. There are a lot of foods from which you can obtain a high level of protein. Such as eggs, poultry, meat and you can even get plant-based protein if eating animals isn’t quite to your liking. But even among high protein product, you still need to choose the one with less fat so your diet would go effectively. 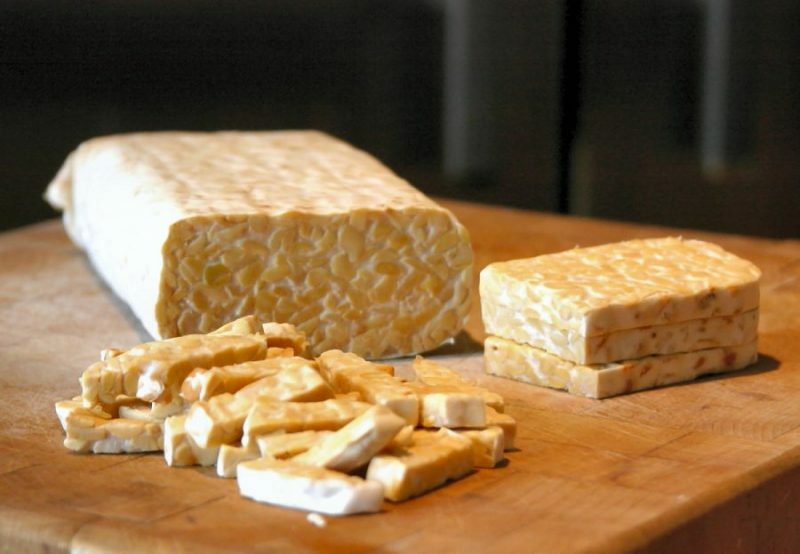 Tempe is a food made from fermented soybeans. It is originated from Indonesia and also the most common food used to replace animal product because of how similar its texture is to real meat. But compared to real meat or any other kinds of protein, the protein contained in tempe could help losing weight even easier. A study shows that people who obtain protein only from soybeans products experience more reduction in body fat mass compared to the people who get their protein from animal product. Nowadays, tempe is now used as a meat substitution not only in Indonesia but also worldwide. Compared to when tempe is only produced in Indonesia, this soybean product is now easily accessible due to the high demand which caused tempe to be produced all over the world. Seafood, the particularly fish, is another good option of high protein food that can help people lose weight. 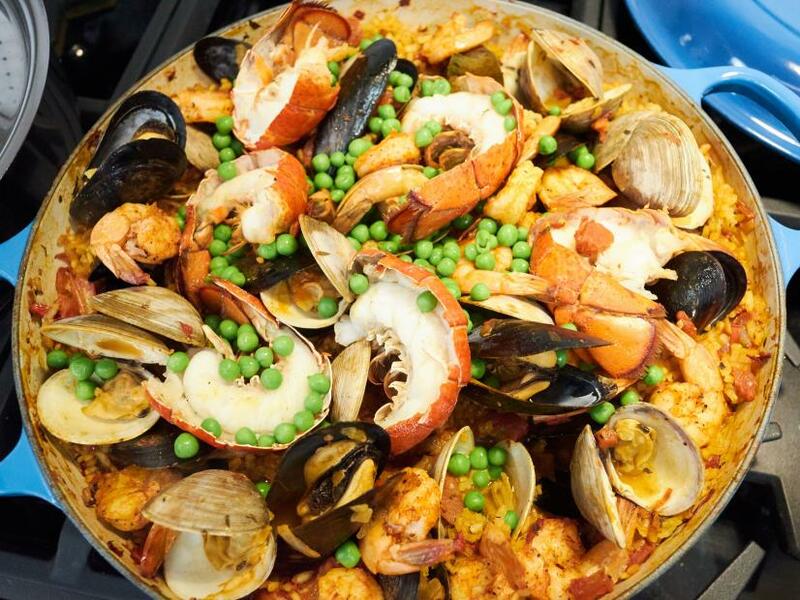 Eighty-five grams of seafood usually covers a third of the recommended amount of protein consumed and also a complete protein source since it contains an amino acid that is necessary for keeping yourself healthy. The protein is easy to digest and seafood is also famous for being low in both fat and saturated fat, reducing the calorie intake that is crucial to losing weight. And if you’re worried about heart attack, the omega-3 you get from seafood could help you reduce the risk of you getting said disease. Chicken is another food that people commonly eat to help them lose weight. This is because of chicken generally high in protein and low in fat compared to any other protein sources. However, not every part of the chicken contains the same amount of fat and protein. For example, the fat you get from eating the skin is a lot more compared to the fat you get from chicken breast. You will even get 47 percent less fat if you eat the chicken without the skin. 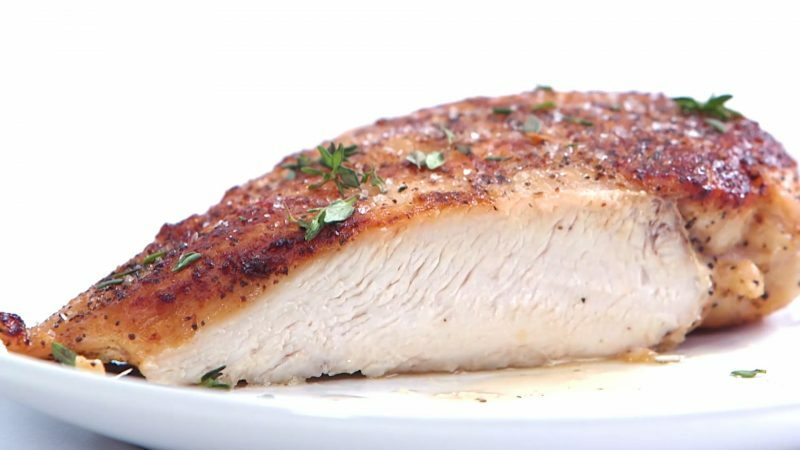 This is why people mostly put the chicken breast into their diet for losing weight. Compared to any other parts, chicken breast has the least fat. Chicken breast contains only 1 gram of saturated fat and less than 4 grams of overall fat in 85 grams of boneless chicken breast serving. Other than chicken, eggs are also everybody’s favorite when it comes to food that helps you lose weight. One egg only contains 78 calories and a lot of other necessary nutrition to keep your body healthy. 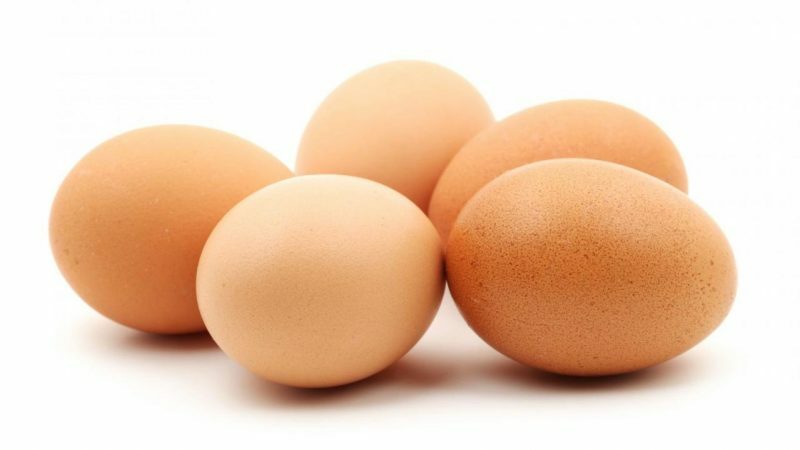 Other than how it is nutrition-dense and can cause you to feel full for quite a while, eggs can also boost your metabolism since it contains the essential amino acid for your body to burn calories through the process called the thermic effect of food. The essence of losing weight is to reduce your calorie intake by eating less. But eating less doesn’t mean you have to torture yourself by starving and not eating at all. Choosing the right kind of foods is essential for your diet to help you lose weight successfully. The high protein product is your best choice of diet food that helps you lose weight since it is generally low in calorie and also provide you with all the necessary nutrients for your body even though you don’t eat that much in a day. And most importantly, it makes you feel full and avoids eating too much.